It’s no secret that a rolling pin is a tool that every baker should have. This cylindrical utensil is mainly used in shaping and flattening dough. I have one in my kitchen even though I am not exactly fond of baking. But what if you don’t have a rolling pin in your kitchen? What can you use instead? What is a rolling pin? The rolling pin has long been used by man. It is believed that the Etruscans, an ancient civilization in Italy that thrived during the 8th to 3rd century B.C., were the first people to use a tool that is similar to the rolling pin. The Etruscans were known to have invented different cooking tools such as the rolling pin. They may have used the first rolling pins for thin-rolling pasta and making bread from the grains that they grew. The invention of the modern rolling pin, however, is credited to J.W. Reed who came up with the design in the late 19th century. Aside from rolling out dough for bread and pastries, a rolling pin can also be very handing in crushing things like crackers and nuts. Here’s a recipe for crushed chocolate cookies where you’ll need a rolling pin. It’s very likely you have a wine bottle at home. Aside from using it as a display, you can also put it into good use by substituting it for a rolling pin. You can roll out a pastry dough using a full or half-full bottle of wine. I know you’ll likely think twice about using a wine bottle to roll out pastry dough. Wouldn’t that cause bacteria to grow into your dough? Yes, it would that’s why you should sandwich the dough with parchment paper. This can also prevent the dough from sticking into the wine bottle. 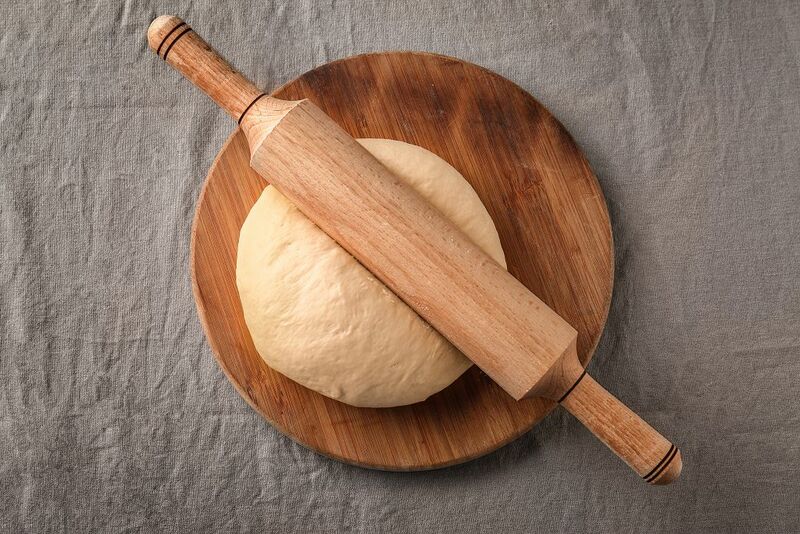 Another possible substitute for rolling pin is a tall drinking glass, especially in the rolling dough for bread and pies. But don’t just use any tall drinking glass for this purpose. You should find a glass with smooth sides so that the dough will come out pretty well. 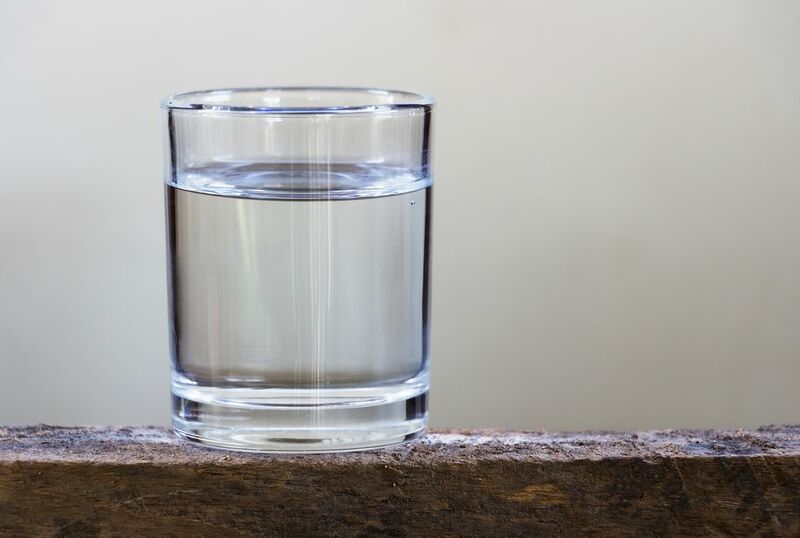 Moreover, the glass should be heavy too so that it won’t crack when you apply pressure to it. 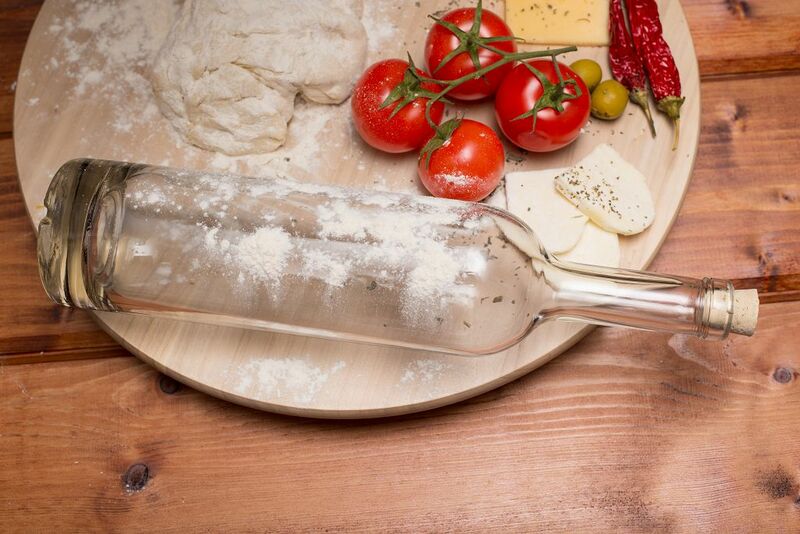 Similar to the case of the wine bottle, a drinking glass can leave bacteria on your dough. You can thus place it between plastic wrap sheets. You may also spray it with oil to lubricate it and so that it would easily roll. I’m sure you have a water bottle at home. You can use either a plastic or stainless steel water bottle instead of a rolling pin. 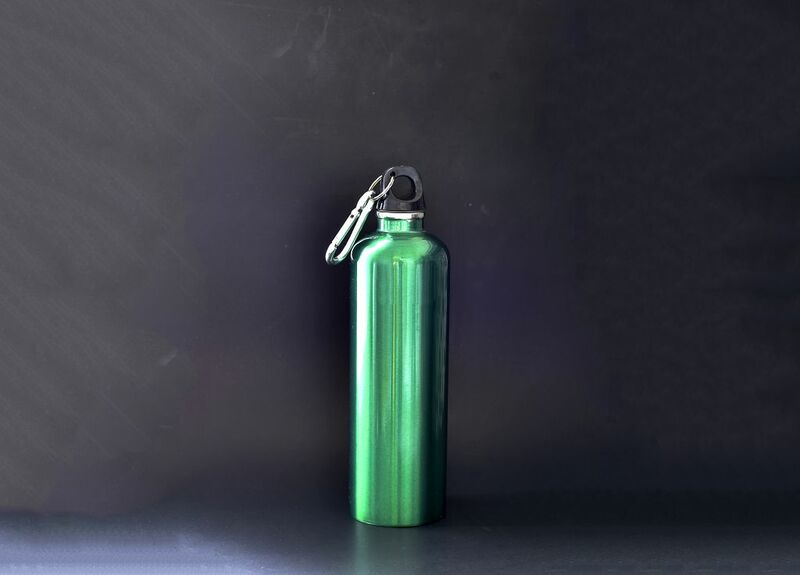 A plastic water bottle may not be as sturdy as stainless steel but here’s one trick that you can try—pour water into the water bottle and put it in the freezer. By freezing water inside the bottle, you would be adding more weight to the water bottle. It may be uncomfortable to your hands to roll a plastic bottle filled with ice. But you can remedy this by using gloves. 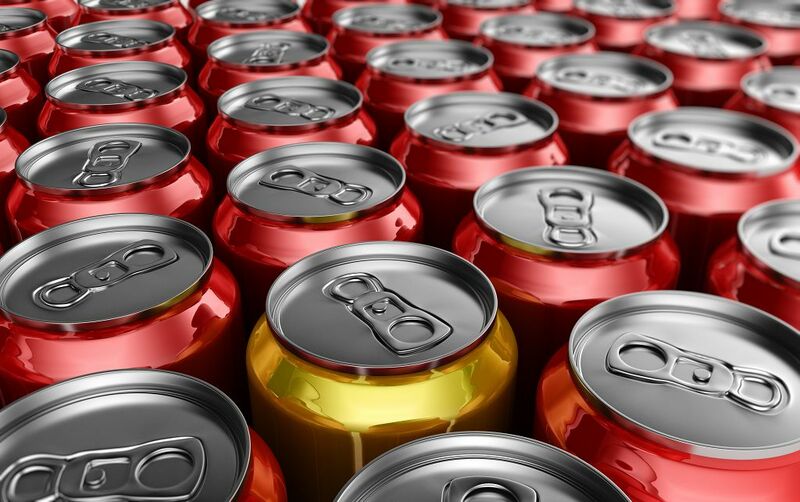 Soda cans are another item that you would likely have at home. You’ll certainly need an unopened one because it would be sturdy and strong enough to flatten dough. An empty can may not give you enough force to accomplish your goal. It would easily collapse when you put pressure on it. I’ve tried this before and believe me, it really works. I used to flatten dough for cookies using a chilled soda can. What’s great with cold soda can is that it can prevent the pastry dough from melting. Again, just like the other rolling pin substitutes I mentioned in this article, place some plastic wrap in between the dough and beverage can to keep the former clean and dry. These are four of the best rolling pin substitutes that you can find in the kitchen. 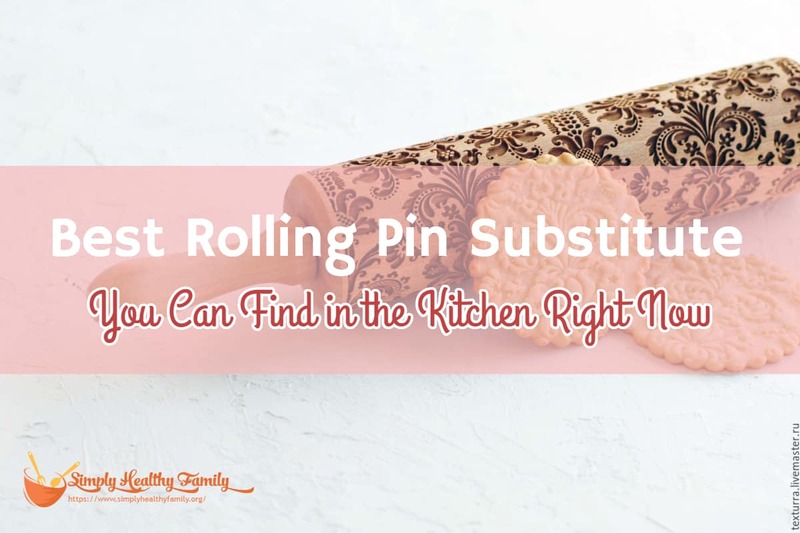 Remember to place a sheet of parchment paper in between the dough and the rolling pin substitute so that the former won’t get any bacteria. Of course, there are other objects that you may use instead of a rolling pin such as a PVC pipe and a dowel. I didn’t include the said things in this list given that not every homemaker may have them at home. But if you happen to have any of those objects, then go ahead and try using them as a rolling pin substitute. What do you think is the best substitute for rolling pin among the four items I mentioned above? Share with us your thoughts by writing in the comments section below. Better yet, share this article on your social media accounts. I am sure your friends will appreciate the gesture.